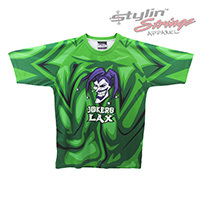 The Jokers sublimated lacrosse shorts inspiration was provided by Will Monette out of Milton Georgia. He wanted us to design a custom purple and green plaid with varied opacities. 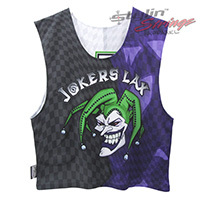 The one side panel has the joker face big, and the other the logo word mark.